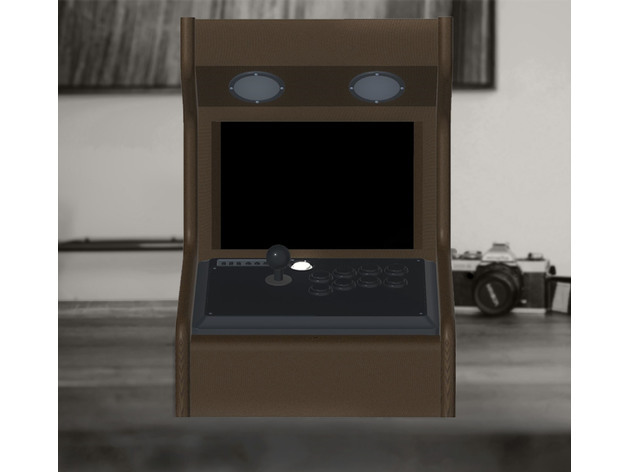 A complete Bartop/Desktop Arcade Assembly – it was designed for my college CAD class as a project. The intended manufacturing material is wood at a size of about 18″ x 21″ x 26″, but I figured someone might be able to take some ideas from this and implement them in various other projects. 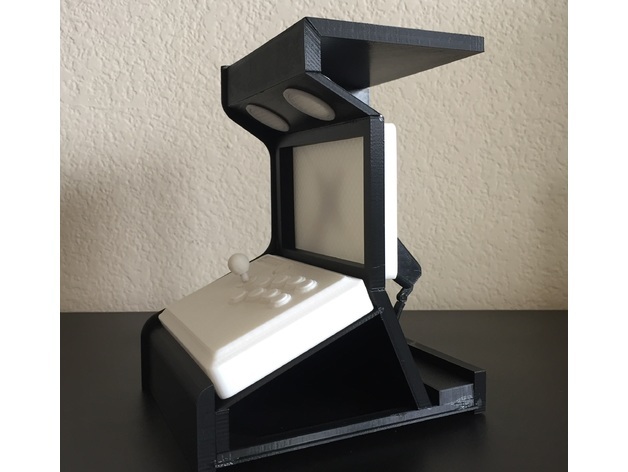 The end product would also have a 16″ monitor and an arcade stick, and would run games off the Raspberry Pi. The pieces can be printed separately or all at once at various scales – the printed assembly above was printed in pieces and glued together.